Remember in 2015 when Baltimore, Maryland was a war zone? It may have given you a sense of deja vu, flashing back to the fall when Ferguson, Missouri was under siege. We’ve seen riots in Sacramento, California; Milwaukee, Wisconsin (which the media lied about); Charlottesville, Virginia; Portland, Oregon; and all over the nation after the presidential election in 2016. This should be telling you something. There’s a distinct pattern when society breaks down, and as our society becomes more desperate, poverty-stricken, and lacking of moral compass, this trend will become more obvious. Note that the “lacking of moral compass” part doesn’t just refer to the thugs rioting and looting, but also to certain cops who think that their badges give them permission to behave like street thugs, too. It’s important to remember that when something happens that may (or may not) be worthy of protest, professional rabble-rousers and race-baiters like Al Sharpton will actually organize folks from other areas to go and “protest.” So even if you live in a small town filled with mostly good neighbors, you could be overrun with angry mobs that were imported specifically to wreak havoc and get their leaders some free press on the evening news. Some people are just waiting for the opportunity to behave in this fashion. They’d love to act like that every single day, but they don’t want to spend the rest of their lives in jail. But when a verdict gets rolled out, when a storm takes out the power, when a disaster strikes, they delight in the chance to rob, pillage, loot, and burn. Who can forget the day before Superstorm Sandy hit the East Coast when thugs were coordinating looting rampages via Twitter? Let me reiterate this: DURING CIVIL UNREST SITUATIONS, YOU ARE COMPLETELY ON YOUR OWN. Do you think the people in the video above respect your home, your fence, or the locks on your doors? And while I’m at it, let me flash forward a bit to a hypothetical future. These people aren’t even hungry. What if the world as we know it ended? What if there wasn’t food in the grocery stores? What if there was no longer any such thing as EBT, for those who have made a career out of milking the system? What if the police and military finally threw their hands up in the air, gave up, and went home to protect their own families? Who’s going to keep your family safe then? You have to realize that at any point in time, you could find yourself on your own, without backup from 911. Whether civil unrest is right outside your door. Whether a group of thugs decides to invade your home to rob and/or terrorize you. Whether the world we know goes down, via an EMP that takes out the grid, civil war, economic collapse, or a breakdown in the national transportation network. The only person you can rely on to protect your family is yourself. 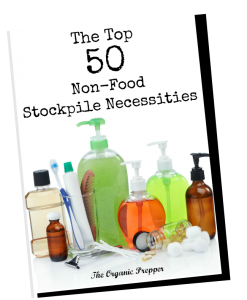 You can stockpile until you have a decade of supplies put back, but if you can’t defend it, you don’t actually own it. You only have it because no one has bothered taking it away from you yet. You have what you have based on the goodwill of others, who are stronger, greater in number, and better armed. You have to look at the psychology of this. People can justify pretty much anything when they or their children are starving. And I can understand that to a large degree – who could stand to watch their babies suffering? But if someone can devolve to the above degree just to because everyone else is doing it, the chaos we saw above is only a tiny sample of what could come if people were truly hungry. Take a long hard look at the threats you face during civil unrest, and develop one. Wherever you live, whatever your situation, you need to plan as though 911 does not exist. Whether riots are occurring in the streets or not, in the seconds during which the lives of your family hang in the balance, you are completely on your own. Following is a plan for dealing with an episode of civil unrest, taken from an article I wrote during the Ferguson riots. This plan is also applicable for societal breakdowns that occur in the aftermath of a huge disaster. Stash some supplies in the bottom of your child’s backpack – water, a snack, any tools that might be useful, and a map. Be sure your children understand the importance of OPSEC and don’t include items that will get them suspended or arrested because of the fear-culture in our schools. Once you make your way home or to your bug-out location …. STAY THERE. Out of all of the ways to be prepared for unrest, this is the most important one. Sometimes despite our best intentions, the fight comes to us. Even though we stay home, something about our place draws the attention of an unsavory person or group. Defense is two-fold. You want to stay under the radar and not draw attention to yourself. The extent to which you strive to do this should be based on the severity of the unrest in your area. Some of the following recommendations are not necessary during an everyday grid-down scenario, but could save your life in a more extreme civil unrest scenario or a situation that has gone long-term. 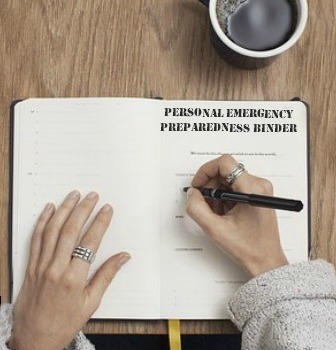 It’s always better to be over-prepared than under-prepared. and lay low, but be prepared if trouble comes to visit. on your front and back doors. Keep the curtains closed. There’s no need for people walking past to be able to see what you have or to do reconnaissance on how many people are present. If the power is out, put dark plastic over the windows. (Heavy duty garbage bags work well.) If it’s safe to do so, go outside and check to see if any light escapes from the windows. If your home is the only one on the block that is well-lit, it is a beacon to others. Keep cooking smells to a minimum, especially if there is a food shortage. If everyone else in the neighborhood is hungry, the meat on your grill will draw people like moths to a flame. Fire is of enormous concern in these types of scenarios. Fire is a cowardly attack that doesn’t require any interaction on the part of the arsonist. It flushes out the family inside, leaving you vulnerable to physical assaults. Be ready for the potential of fire. that can be attached to a windowsill in all upper story rooms. Drill with them so that your kids know how to use them if necessary. Have bug-out bags prepared that contain all of your important documents in them in case you have to grab and go. For some, vandalizing and destroying property is the order of the day. Often, times of civil unrest give people of a certain mentality the excuse they need to seek vengeance against those who have “more” than they do. Tensions erupt between the “haves” and the “have-nots”. When this occurs, often destruction of property is the way these people choose to show their “power”. While this starts out as purely a property crime, the situation can quickly turn violent. If someone is outside bashing the headlights of your vehicle, it isn’t a far stretch to think that they’ll bash on you if you confront them. How to respond to this is a very individual decision, and depends to a great extent on your personal skill levels and confidence. For example, I’m a single mom with daughters. As much as I like my Jeep, it’s unlikely that I’d confront an angry mob destroying it, because that just wouldn’t be sensible. Things can be replaced, but you and your family members cannot. If you are a person who is unaccustomed to physical confrontations, you may be better off staying inside and calling your insurance company after the fact. No possession is worth your life or the lives of your family. Alternatively, in some situations, it won’t stop with the destruction of your property. You may have to defend your home. And for this, you MUST BE ARMED. I’m sure I’ll receive another barrage of email wishing me and my children dead by our own guns. (It always amazes me how people who swear vehemently that they’re against violence can send me those letters that fervently hope for bloody and terrifying deaths for us.) Some people are so terrified of self-defense tools that the very idea of using one causes veritable spasms of cognitive dissonance and denial. Those very same people will tell you that they’ve survived riots or unrest and never had to have a gun or shoot anyone. Chances are, you won’t have to unholster your weapon. But this is a plan based on pure luck, and survival favors the prepared. I do not base my preparations for my family on the hope for good luck. Firearms are an equalizer. A small woman can defend herself from multiple large intruders with a firearm, if she’s had some training and knows how to use it properly. But put a kitchen knife in her hand against those same intruders, and her odds decrease exponentially. If the situation does escalate and the lives of you and your loved ones are in danger, there is no substitute for meeting force with force. You may not wish to engage, but sometimes there’s no time to escape. Sometimes there’s no place to escape to. In these situations, you won’t be able to talk your way out of it, hide from it, or throw dishes at the intruders to fight them off. Plan an escape route. If the odds are against you, devise a way to get your family to safety. Your property is not worth your life. Be wise enough to know if you’re getting into a fight that you can’t win. Civilization is just a veneer. Look at the videos of what’s going on in Baltimore. Look at what happened during the Ferguson riots. Look at the behavior of the stampeding masses on any given Black Friday shopping extravaganza. Then tell me how “civilized” our country is.